The year 2018 is off to a great start for Samsung Gear S3 owners. 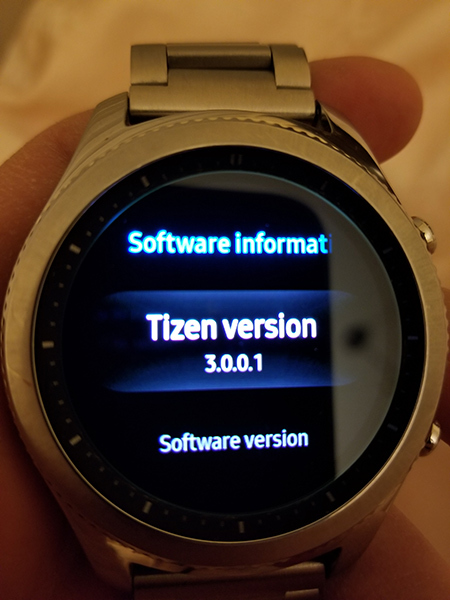 The T-Mobile flavors of the Samsung Gear S3 Classic and Gear S3 Frontier are now being updated to Tizen 3.0.0.1, which includes the Gear S3 Value Pack. TmoNews readers always smile and Tom received the update on their Gear S3 Classic and it weighed in at 265.88MB. There are lots of goodies for Gear S3 owners in the Value Pack update. 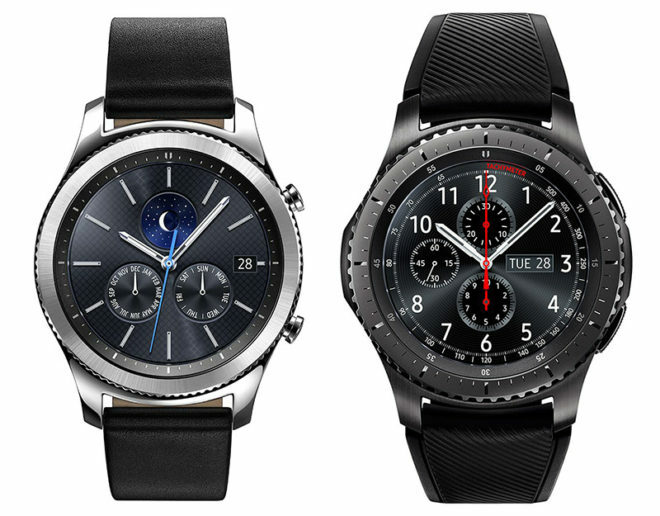 Those include improved heart rate monitoring accuracy and nutrition management for workouts, the ability to create contacts and events on the Gear S3, and the ability to view and edit checklists as well as video and web reminders created on their synced smartphone on the watch. The Value Pack update also brings user experience improvements. Widgets have been optimized to fit the Gear S3’s circular display and there’s a band around the perimeter of the screen that can show widget-specific text like contact names and detailed weather info. This update also utilizes the Gear S3’s rotating bezel by letting users see more or less info by rotating the bezel faster or slower, and they also rotate the bezel to move from a text message notification to the reply input. Speaking of inputs, Gear S3 users are getting more quick replies and can create and edit their own quick replies directly on their watch. Another notable feature of this Value Pack update is that users can now sort apps in the order in which they were most recently used. To update your Samsung Gear S3, open the Samsung Gear app on your phone and go into the Settings tab. You’ll then select About Gear and tap Update Gear software followed by Download updates manually. Thanks, always smile and Tom! received mines this morning on my Frontier and gotto say its been reborn !!! And your battery life will be cut in half in less than a week. I returned my BT version to Costco after it got the 3.0 update due to this problem. The battery issue you speak of is not affecting everyone. Do a Google search. the 3.0.1 update fixes the battery issue. So all is well again. Thus far anyhow. Thanks, was a bit concerned when the first update came out (not to T-Mobile though) and everybody (almost) complained about the rotten battery life. Time to update! Well it’s 4pm EST since yesterday and it sits at 74%..So what were you saying again troll lol. You must Got a ZTE watch lol? Battery level today (after update) is favorably comparable to my battery level yesterday at the same time (before I updated). While I haven’t explored all the changes from the update, I’m liking what I see so far! Any thoughts on how to get the update if you are using an iPhone? The Gear S app does not have a check for update option. Put the iPhone into airplane mode, then check for updates from the watch itself. Here is what I did —> Go to: Settings >> Gear Info >> Update Gear Software. But, be advised . . . It is not clear that the Battery drain issue (Tizen Ver 3.0) has been resolved . . . I do not want to introduce a significant, known power drain issue into my new watch without the ability to revert back to version 2.3.2.3, which seems to work pretty smoothly. I am holding off on this “upgrade” for now. My battery has gone to crap the past couple of days, since the update. Not a good sign. So, how do we know for sure that the Battery drain issue has been resolved? It has not been resolved. I wouldn’t download it yet because my battery is draining in one day where I used to get two. Same here. I wish I could revert to Tizen 2.3. Even a factory reset did not resolve this. It’s bad I wish I could revert back until it’s fixed. I got updated yesterday. I didn’t know anything about the issues. Battery life is terrible down to 54% from 6 am this morning until 10 am now. I have factory rest and reloaded apps new. This is awful. All the things I liked about the watch are gone!